District weekend lived up to the hype, plain and simple. As you can see from our predictions article posted yesterday, many teams that we thought would make it, did make it, and many athletes we consider top 10 locks were, but in terms of individual placing, it was madness. This just goes to show that virtual meets can be accurate in general and are great tools to determine where you may stand as an individual or a team heading into the race, but a burner of a course like Big Driver or Cole County Fairgrounds can throw an enormous wrench into those projections, or a grass track like Inman Elementary or Warrior's Best Friend can bring out the best in some who were not originally seen as front runners. Illnesses, freak injuries, scheduling conflicts, and more can all wreak havoc on a coach who thought he or she had it figured out heading into the district meet and thus produce some of the biggest upsets, disappointments, and glory stories that were probably originally beyond one's field of foresight. We wrapped up the wild weekend that was and would love to provide more stories beyond what we see on the surface. 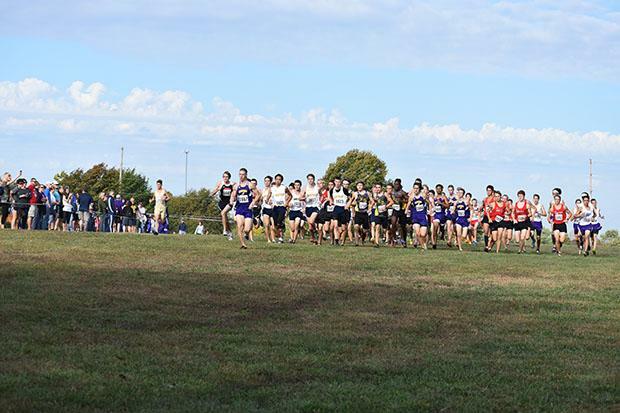 If you have a story that you think deserves to be shared, please send us an email at kdeeken@milesplit.com and we may be able to get that story posted so that everyone can revel in it with you. Finally, thank you everyone for supporting the site this season. We hope that you enjoy the content to come in these final two weeks of cross country and appreciate your support!